The innovative design is slated for a 1970s-era building in the French capital’s 16th arrondissement. Like similar buildings in the city, this one is burdened with low energy performance due to thermal bridges, poor insulation, and permeable windows. However, current building laws are quite restrictive and do not allow for the structures to be raised to make way for better, more efficient space. Malka’s solution is to incorporate a type of parasitic architecture to improve the building’s energy envelope. 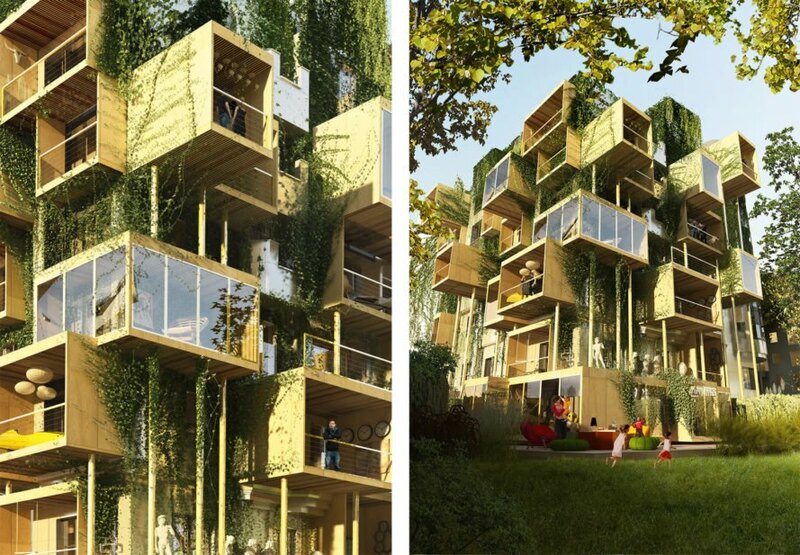 According to the design, a series of bio-sourced wooden cubes would be mounted onto the facade, extending the apartments horizontally through openings in the exterior. Extending the apartments outwards would divide the total energy consumption of the building by four. This would significantly reduce the rehabilitated building’s annual energy consumption from its current 190KWh per square meter to 45KWh per square meter. The modular boxes, made from wood particles and chips are quite lightweight, which allows for easy transport and on-site assembly. Once mounted onto the building, the cubed extensions would not only add more living space and light to the interior, but would also create an inner garden courtyard on the first floor. 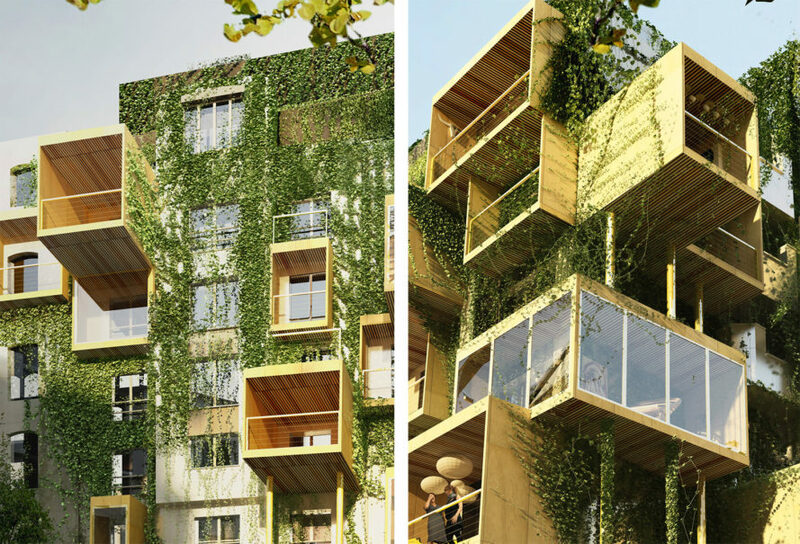 The new facade would be draped in hanging greenery, greatly improving the structure’s overall aesthetic. The modular boxes, made from wood particles and chips, are quite lightweight, which allows for easy transport and on-site assembly. 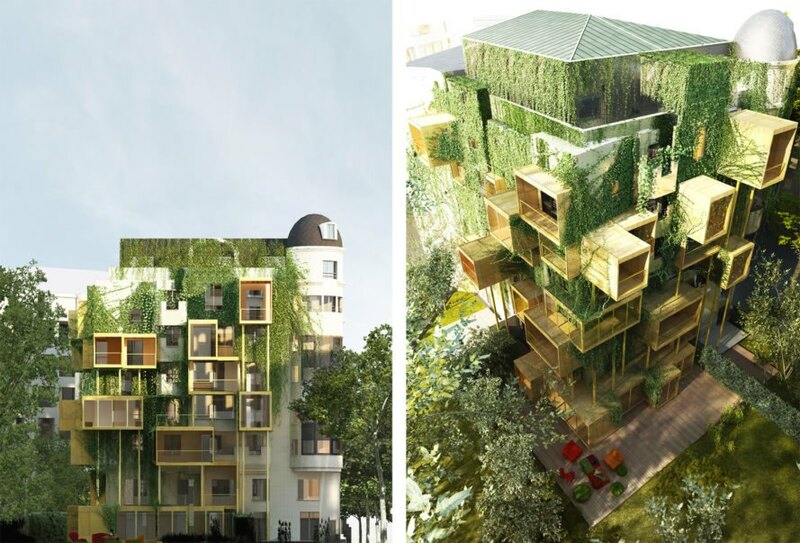 Stéphane Malka has designed a clever way of optimizing the energy efficiency of older urban structures while working within the restrictions of Parisian building codes. 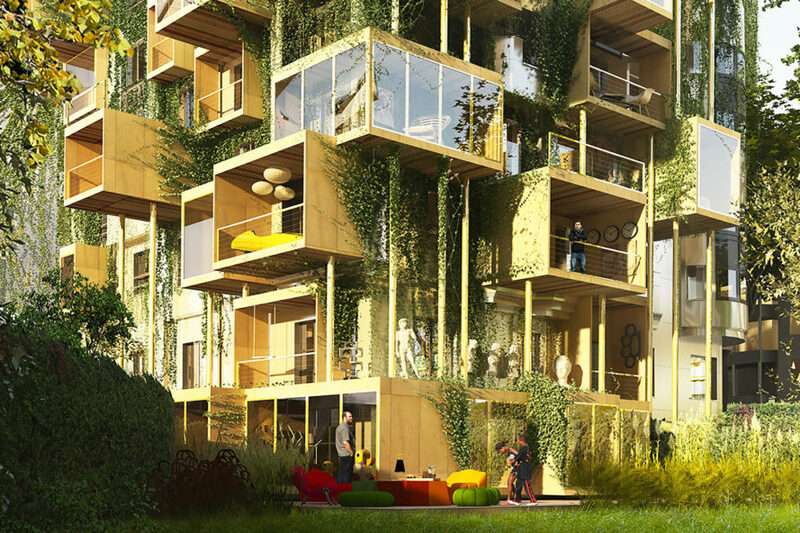 Malka's Plug-in City 75 design envisions attaching parasitic wooden cubes to the facade of a 1970s-era building, extending the living space and significantly reducing the building's annual energy consumption by approximately 75 percent. 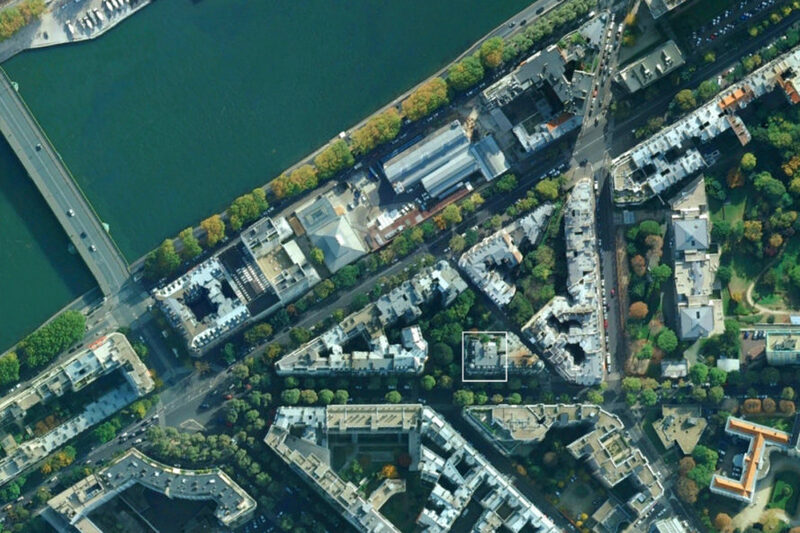 Current building laws in Paris are quite restrictive and do not allow for the structures to be raised. 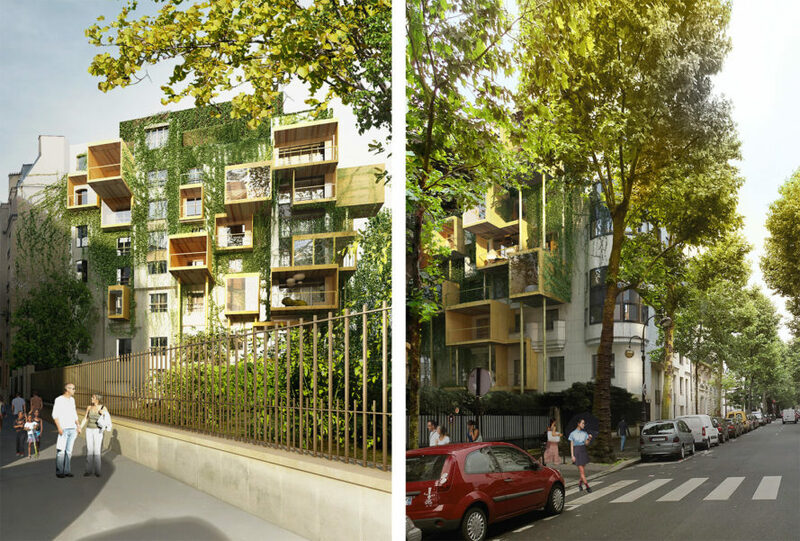 The design is slated for a 1970s-era building in the French capital's 16th arrondissement. 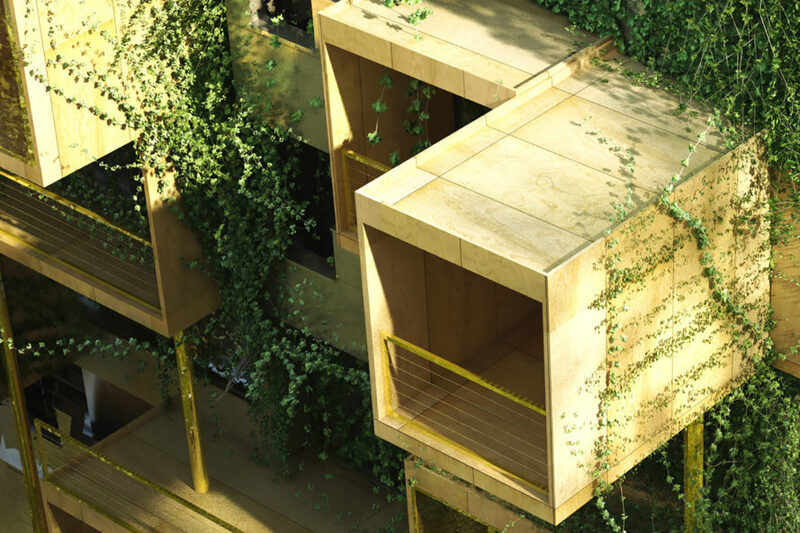 According to the designers, a series of bio-sourced wooden cubes would be mounted onto the facades, extending the apartments horizontally through openings in the exterior. Malka's solution is to incorporate a type of parasitic architecture to improve the building's energy envelope. Extending the apartments outwards would divide the total energy consumption of the building by four. This would significantly reduce the rehabilitated building's annual energy consumption from its current 190KWh per square meter to 45KWh per square meter. Similar buildings in the city are also burdened with low energy performance due to thermal bridges, poor insulation, and permeable windows.